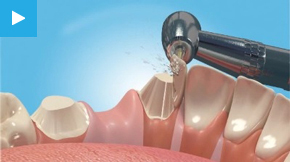 If you require a more extensive restoration than a crown or have more than one tooth that needs to be repaired, one good solution is a bridge. Bridges are usually made of a metal base or zirconia ceramic block (a better option for front teeth as this does not stain the teeth, giving a long lasting cosmetic result) which gives them a solid structure and makes them hard-wearing. If you need a bridge in your smile line, porcelain is usually added to the base to make it look more like real teeth. A bridge helps to strengthen the prepared teeth and makes chewing and eating easier because it is fixed and can't come out. Once you have a bridge fitted, you will have to take extra care of your daily hygiene regime to ensure it stays plaque free and to prevent bad breath.